Dawn joined the team in 2001. She supplies our events with all of the gifts. Some call it “Trinkets and Trash”, we call it “No Limits to Her Stash”. She can find any item at any time. From the perfect award to the latest in golf wear, she gets it to the event no matter where, tracking it the whole way. 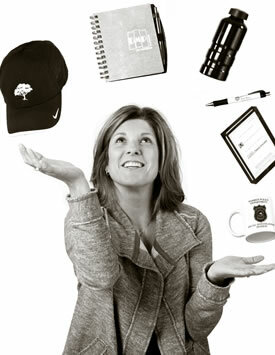 In addition to her procurement duties, Dawn works many events as a staff member. She is always there to assist a guest, help a co-worker or locate a lost keynote speaker. Dawn’s proudest moment and perhaps her saddest, was when her son Ryan left to serve our country in the Middle East. We are all very proud of Ryan and thank him for putting his life on the line for our freedom. Stay safe Ryan!